His reason for saying that Archbishop Sample is being 'simplistic and deceptive' is that he cannot get his mind around the very simple point that the Archbishop is making: that when hymns are sung, in the Novus Ordo, they are sung instead of the singing of a liturgical text. The General Instruction says: you can sing the Introit chant, or something else. Later on, you can sing the Offertory chant, or something else. At Communion, you can sing the Communion chant, or something else. If, each time, you find yourself singing a hymn, you are doing so at the expense of singing the chant texts set for the day. 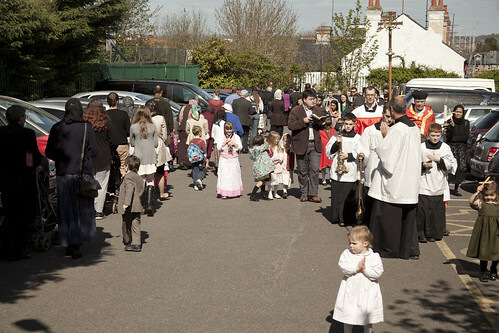 Palm Sunday with the FSSP in Reading. Of course, the wider legal and textual situation in the Novus Ordo is a nightmare of confusion and mixed signals, which I have addressed, a little, here. Nevertheless, Archbishop Sample is right that by replacing the chants with hymns, we are moving from a liturgical text - an ancient, Catholic, liturgical text, in fact - to something which is at best para-liturgical, and often not even Catholic. 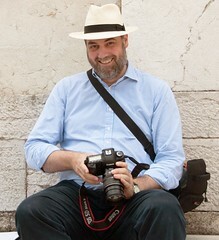 Loftus' argument against the use of the liturgical texts is the typically patronising argument that chant is not appropriate for ordinary people in ordinary Masses. The aura, ethos and culture of a monastic Mass cannot easily by transplanted in a parish Sunday Mass. Nor is it always appropriate to try to do so. 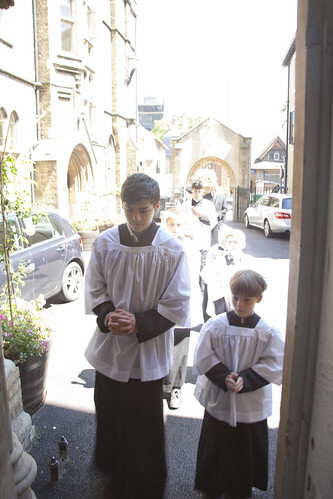 Not many abbots presiding at conventual Mass in their monasteries have the ethereal, numinous and meditative qualities of their organ-led Greogorian-chant shattered by a four-year-old returning from the children's liturgy and informing him: "I want to wee." at SS Gregory & Augustine in Oxford. 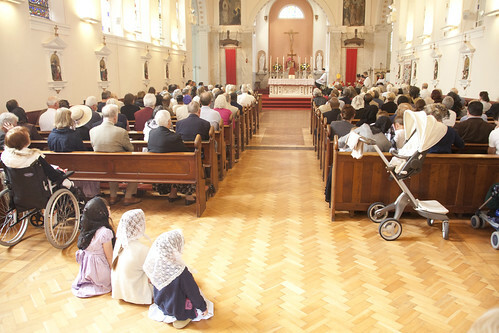 Has Loftus ever actually seen a Mass with chant being sung with a congregation with lots of small children? Anyone tempted by his line of argument urgently needs to get themselves to the regular, sung Traditional Mass celebrated in places such as Reading, by the Fraternity of St Peter, St Bede's, Clapham Park, or Blackfen. I have taken my children, who range from six months to ten years of age, to such Masses all their lives, and I have myself sung, yes sung chant, at the great majority of those Masses, in a large number of locations with fellow worshipers from every corner of the land and every walk of life, so unlike Basil I know exactly what I am talking about. The reality is that children respond to the atmosphere created by chant at least as much, and I would say actually more, than adults. The atmosphere created by chant is at least in part a matter of association: that is to say, it is learnt. To compare like with like, therefore - adults and children equally unfamiliar with chant - then small children are at a huge advantage, because they learn fast, they have no preconceptions, and they are imitative. They want to do what other people are doing. When the association is embedded, in children and adults, again if we are comparing like with like, then children again have a big advantage, because - as anyone who knows children knows - children are conservative. Once a habit is established, the way the Christmas tree is decorated or the table is laid, children naturally stick fast to it. Once they've learnt that chant accompanies an activity for which they need to be quiet, they will be very resistant to anything contradicting this principle. Servers at a funeral in the Oxford Oratory. I suppose Loftus may have in mind an unfair comparison, between adults who have a dim recollection of chant as associated with the sacred, coupled with a vague sense of duty about how to behave in church, and children whose liturgical instincts have been un-formed as a result of infrequent visits to church, and mis-formed by hyper-active 'kiddies hymns' and 'children's liturgies'. If children behave inappropriately for those reasons, however, it is the grown-ups who are to blame. 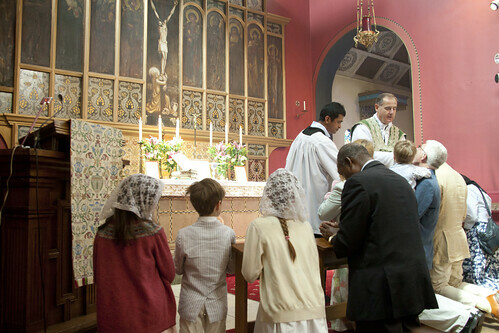 What the four-year-old of Loftus' fantasy needs, then, after his visit to the loo, is an end to the 'children's liturgy', and consistent exposure to chant, ideally at the Traditional Mass. If he observes other people lower their voices in church, with a little encouragement he will do the same. Small boys can be more prone to restlessness in church than girls, but wait a couple more years and he'll be joining the serving team, and your problems are over. Obviously, this is not going to happen if there are girls serving. But that's just reason number 94 for making sure it is the Traditional Mass. There are many other errors in the article, but as usual I can't address them all. For example, the Gloria is not a hymn in any usefully descriptive sense: it is not metrical. Like the Psalms, it can be sung using Gregorian Chant because this can cope with texts which don't have strict dum-di-dum rythms and lines of equal length. (It is called a 'prose'.) 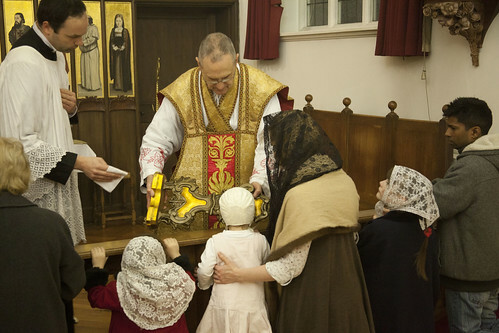 Metrical hymns have a very long history in the Roman liturgy, in the Office, but never - never - in Mass, until vernacular hymns crept in as a result of Protestant influence. If the bagpipes is the chosen instrument, then the type of music must be tailored to it. This may exclude Gregorian chant. A bizarre attempt to put the cart before the horse: to claim the right to choose the instrument and then fit the music to it, regardless of liturgical considerations. However, it is not a well chosen example. 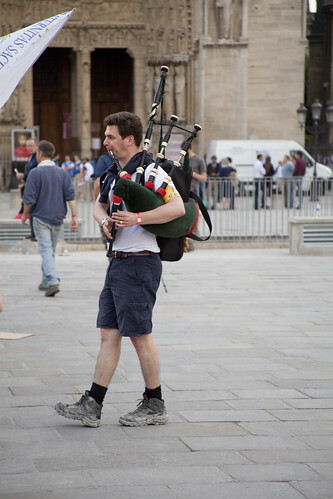 I learned on the Chartres Pilgrimage that it is perfectly possible - strange, perhaps, but perfectly possible - to play chant melodies on the bagpipes, from the chap in the picture. Why is attention given to this man? Why is he allowed to remain in ministry on behalf of the Church? Disgraceful. The statement of Basil Loftus that chant is not appropriate for the laity is not even original. Back in 95, when I was visiting Lubeck, a music student related the same sentiment expressed by his music tutor (his tutor was a monk of the local Benedictine monastery). I attend the traditional mass every Sunday in Kampala, Uganda; the children there have no difficulties with the chant.